I’m not actually against Mary and Bobby, I do think they’ve be kind of awesome together. Jack is all kinds of angsty because his grace has still not regenerated so he’s basically a normal human and really really not used to living without super powers. Bobby is training him and Sam is all close and comforting but Jack is clearly having self confidence issues and thinks he’s useless. They also have Nick in a room, in the middle of a warded circle. Nick would be the human host of Lucifer - when Lucifer was killed last season his host survived. He’s healing but clearly fragile, perhaps wracked by guilt and not in a great place after being possessed by the devil. He doesn’t remember a lot but does remember that New Michael “wants to do it right this time”. Y’know, once on this show an angel could kill demons with a touch and demons would run the other way before daring to challenge one. Bobby disapproves - and I admit my heart kind of melted a little because Bobby is treating Jack like he did Sam and Dean and he’s protective and maybe there’s even an edge of Sam being a bit too John Winchester in his “get over issues by fighting” and I just love it. Bobby’s back, he’s actually back. Along the way Mary offers more reassurances to Sam and he asks her to stop - he can’t hear any more “it’ll be fine” or “we’ll find Dean” when they know that may not be the case. She gives him a whole speech about needing to believe and I think it all kind of underscores just how awkward Mary is as the Winchester mother. Because as a parent we kind of expect her to be The Most Upset about her son being missing but at the same time Dean is still something of a stranger to her while Sam and Dean have the most overwhelming co-dependent relationship of anyone EVER. Including lots of fist fights. Um… a few seasons ago a human deciding to fist fight with a demon would be as squished as…. A demon picking a fight with an angel. But nope, the demons die and above all Sam manages to give Kip a good stabbing with an angel blade. Yes the would-be-king of hell is killed in a wrestling match with Sam. Part of me thinks Sam is putting a big target on himself with this but, really, Kip hunting down Sam expressly to establish his credentials as king shows the target was already there. The epic preceding seasons means any would be hellish ruler has to kill, placate or otherwise neutralise the Winchesters. Sam is just acknowledging and formalising what is already there and in doing so kind of claiming the power of that. There’s no real chance of a king of hell establishing themselves in the background and surprising the Winchesters when Sam has kind of made addressing the Winchesters as an important stepping stone in the path for hell. Denouement time! So Jack pretty much epicly failed during the fight and needs Bobby and Sam both to give him pick me ups and remind he will get his power back and before that he is loved and cared for and has a family and that’s super awesome. And Castiel and Sam have a moment which is kind of about apologising but really about Sam and cass having some air time together. And this is kind of one of the major things I think this season is going for and what will make it more interesting even if, this episode, was a little lacklustre. This is Sam’s chance. 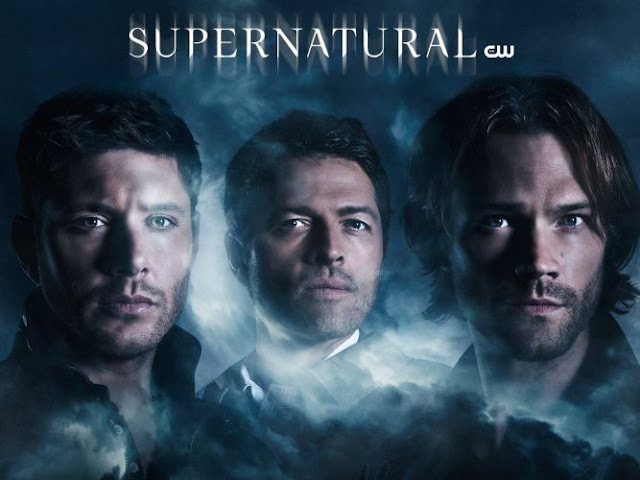 And equally it’s time for Supernatural to take a step back and address the last fourteen seasons. The whole fact we have demons terrified of Sam seems willing to look at the Winchester reputation and make it part of their story and development.